Fall is here, which means buyer traffic is slowing down. 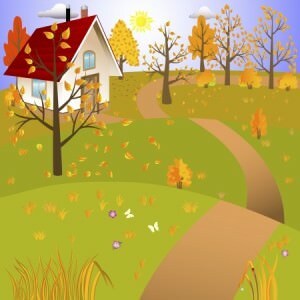 Still, don’t let autumn’s buyer advantages lull you into “falling” for the wrong home. Even when market conditions are in your favor, you could still be vulnerable to choosing a home too quickly. After all, the holidays are approaching and you want to entertain your friends and family in a beautiful new house. Even so, the holidays will be here next year. Don’t let an artificial deadline influence one of the most important purchases you’ll ever make. You want to choose a home that meets your needs regardless of the time of year. There are several important things that should be on your mind as you shop for a house this fall. First, what size house will you need? The old adage “bigger is better” isn’t always true. Think about the costs of heating the home as we move into the colder months. Don’t buy a house to impress in, buy a house to live in. What will you be doing in the home? Do you really need a huge kitchen if you rarely cook (Thanksgiving aside)? If you have a large family, perhaps having enough bathrooms is on the list. There’s nothing worse than a morning rush with not enough facilities. While newer homes are brighter, shinier and come with more amenities, they are generally located away from city centers. Remember to consider how much time you’ll spend commuting. The fact is, hours spent in traffic are hours away from your family. As you set out shopping for your home, no matter the time of year, make sure to keep these proper considerations in mind.